Digital aggregators, such as Trove, point towards new imaginaries of heritage space online. 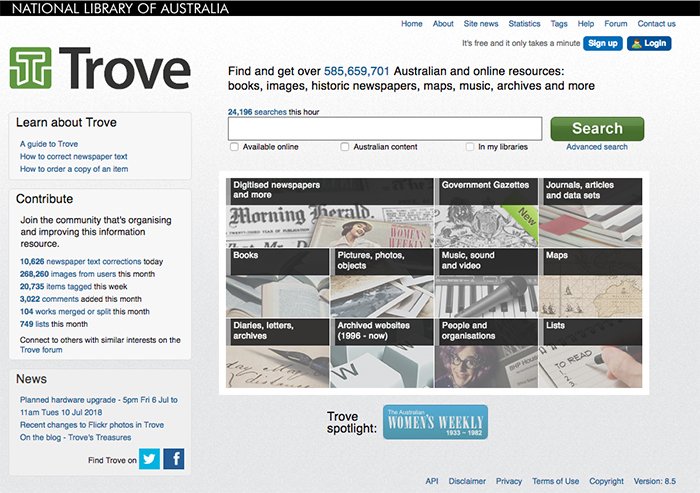 Trove is one among a number of aggregators, including Europeana, Digital NZ and the Digital Public Library of America. These aggregators are distinct cultural artefacts of the digital era, insofar as they make resources centrally accessible - reflecting earlier aspirations for universal knowledge systems - while at the same time operating as part of distributed technical frameworks. This seminar will explore the implications of reimagining library and museum spaces online, and consider the potential future development of heritage aggregators as part of larger information infrastructures. 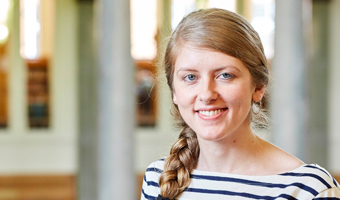 Dr Liz Stainforth is a Visiting Fellow hosted by the Digital Studio, as part of the Australian Endeavour Fellowship Scheme. She works as a Postdoctoral Fellow at the Institute for Advanced Studies in the Humanities (University of Edinburgh) and as a Lecturer at the University of Leeds. Her research explores digital heritage and memory cultures, and she is currently working on a collaborative book-length project about digital archiving practices (provisional title: All and Each: Dialogues in the Digital Archive). She has been an Associate Editor for parallax journal and published articles in journals including Museum and Society and Digital Humanities Quarterly.